Weight gain and obesity have become world wide problems. There are so many causes of weight gain. However, majority of it is caused as a result of our diet and physical inactivity. This therefore causes us to become overweight and obese, which predisposes us to non communicable diseases like type 2 diabetes, hypertension and stroke. Studies have showed that there are some foods that can aid in weight loss, as seen below. Studies have showed that whole flaxseed helps in weight management and reduction in overweight and obese people (1). Whole flaxseed can be found in stores and shops. Green tea is the most common ingredient in weight loss products and supplements. Its wide use for weight loss has been scientifically proven and backed by research. A recent study made an oral supplement from green tea and administered it to 100 obese men and women. They placed the participants in two groups, 50 each. One group was on a low diet and the other group took green tea in addition to the low calorie diet. After 90 days of treatment, they observed that those who took the green tea lost more weight (14 kg) compared to those who were only on diet (5 kg). Furthermore, the BMI of those who were on green tea reduced greatly (2). Ortte online store contains the best brands of green tea, one of them being Ortte Matcha green tea. A study showed that coffee(especially dark roasted) reduces body weight in humans. They further found out that dark roast coffee is more effective at reducing body weight than light roast coffee (3). A study was conducted to investigate the effects of dietary coconut oil on the biochemical and anthropometric profiles of women who had abdominal obesity. The results of this study showed that dietary coconut oil is able to elevate high density lipoprotein (HDL) and reduces abdominal obesity in over weight women (4). We recommend Organic coconut oil by Vita balance because it hasn't been exposed to high temperatures and it has not been exposed to chemicals during the manufacturing process. Green coffee bean extract is used in many weight loss supplements because of its effectiveness. 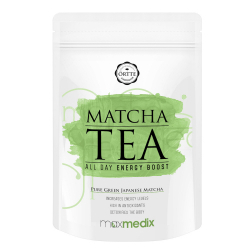 Green coffee bean extract helps with weight loss because it contains high amounts of chlorogenic acids that influence fat and glucose metabolism. One study examined the efficacy of commercial green coffee extract in reducing weight in overweight adults for a period of 22 weeks. At the end of the study, not only did the weights drop significantly, they also saw a reduction on body mass index and percent body fats (5). Furthermore, green coffee bean extract combined with a low calorie diet affects lipid metabolism and fat accumulation which makes it an inexpensive weight loss method for obese and overweight people (6). Insufficient fiber intake has been shown to be associated with excess body weight and obesity (7). Therefore, eating fiber rich foods will help in reducing body weight. Dr Axe's top fiber foods include avocados, berries, coconut, okra, black beans and many others. Those who live in west and central Africa have Irvingia gabonensis in abundance. It is commonly called bush mango, wild mango, african mango and ogbono. It is popularly known as Ogbono in Cameroon and Nigeria. A study conducted in Cameroon showed that the seeds of Irvingia gabonensis (ogbono) can induce weight loss when consumed. It also decreased blood pressure, blood glucose levels and improved good cholesterol levels (9). Turmeric contains a powerful compound called curcumin, which has a wide range of health benefits. Studies have showed that curcumin can help with weight loss and weight management in overweight people (10). Furthermore, a study revealed that curcumin can be a potential leading compound for the development of drugs that prevent obesity(11). Turmeric has numerous health benefits which has been backed by research. Whey protein has been confirmed to aid in weight loss by numerous studies(12) Whey protein supplements as well have also been shown to aid in weight loss (13). Ginger is able to aid weight loss. Studies have showed that 6-gingerol and gingerone A, can help with weight loss and it can be used for the treatment of obesity and its associated complications (14, 15). Garcinia cambogia is one of the products under the spot light because it has been shown to enhance weight loss, especially when combined with a healthy diet (16, 17). There are many brands of Garcinia cambogia and some of them are scams. Here is a trusted and verified brand that we recommend, Garcinia Cambogia Plus. Garlic is used world wide as a spice for food. It has so many health benefits, one of which is enhancing weight loss. A study conducted revealed that garlic has anti-obesity properties which makes it beneficial for weight loss (18). Raspberry ketone is used in many weight loss products and its effectiveness in weight loss have been backed by many studies. Raspberry ketone helps in the breakdown of fats in the body and posesses anti-obesity potentials that are beneficial for weight loss (19, 20). 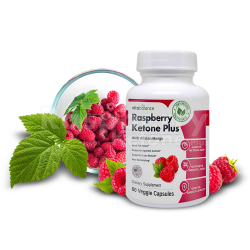 Just like Garcinia Cambogia, the verified and trusted brand we recommend is Raspberry Ketone Plus.